The Ormonde Masjid incident, followed by the verbal virulence articulated against the group of women involved, has shaken our community. The Muslim Judicial Council (SA) is deeply disturbed at the degrading and vile statements expressed against our sisters-in-Islam, in Ormonde. It is indeed a travesty when women are verbally violated and silence reins from the male counterparts in our communities. Islam emphatically forbids slander, and this demeaning statement is directly slandering these women, referring to them as “prostitutes and lesbians”. It is distressing to see social media posts and whatsApp messages humiliating and questioning their dignity. Islam holds that women be treated with respect and dignity. As an Ummah, we must have zero tolerance when a woman is addressed in this manner of disrespect. A strong component of the vibrant Muslim community at the Cape, is the inclusion of women in the Masaajid for prayers and programmes with seperate facilities and without intermingling. 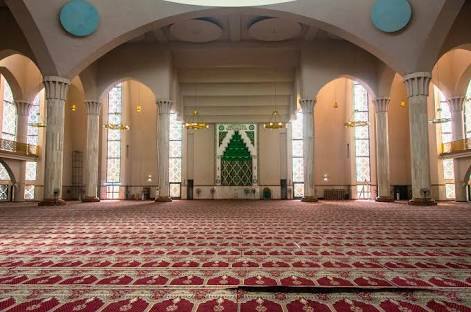 The integral role of women in the Masjid was first displayed by a prolific woman in South African history, Trijin van de Kaap. Trijin provided the ground for the first Masjid to be erected in South Africa and later her daughter, Saartjie van de Kaap decreed it as the first waqf in South Africa. We will continue to hold the position that women should be granted spaces in our Masaajid, all this, within the boundaries of the Sharia. We are in the final days of the sacred month of Ramadhaan. Let us utilize these final days in seeking Laylatul Qadr (the Night of Power) and forgiveness of Almighty Allaah.